A 24-year-old woman has been charged in the deaths of three children who were struck and killed Tuesday morning at a school bus stop in Indiana, police said. Natalie Martinez reports. 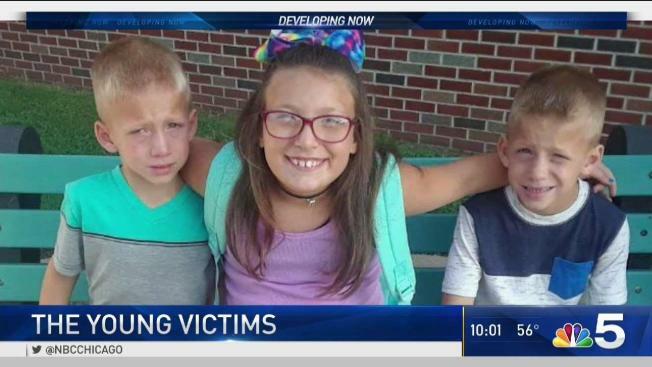 A 24-year-old woman has been charged in the deaths of three children who were struck and killed Tuesday morning at a school bus stop in Indiana, police said. Alyssa Shepherd was charged with three counts of reckless homicide and one count of passing a school bus and resulting in bodily injury. It is unclear if she has an attorney. An 11-year-old boy was also injured in the crash and airlifted to Parkview Hospital in Fort Wayne where his condition was not immediately known. The accident happened near Rochester, about 100 miles north of Indianapolis.